Below are the hottest jobs across the aerospace, manufacturing, industrial and defense industries for the week of November 12, 2018. Simply click a job title to learn more and apply online. If you are passively looking for work, upload your resume here, and we will contact you when something that matches your skill set and experience opens up. 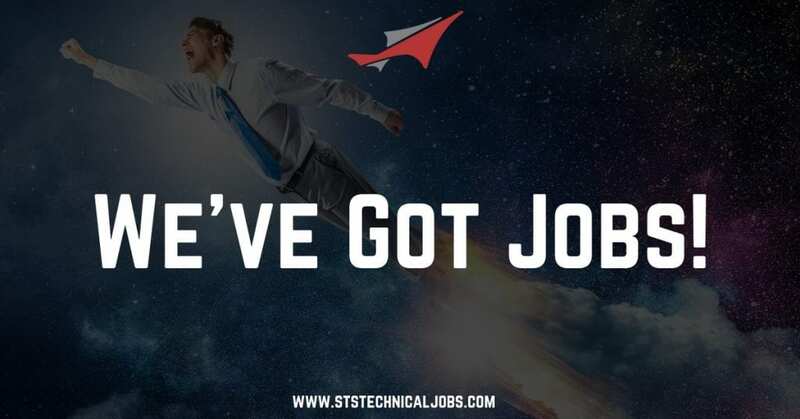 Special Hiring Note: STS Technical Services has partnered with SEAKR Engineering, “the leading-edge provider of advanced electronics for space applications.” The company is based out of Centennial, Colorado (minutes outside of Denver) and its team is rapidly expanding! To view, learn more about and / or apply online for an available career opportunity with SEAKR Engineering, click this link. If you have questions, contact an STS Technical Services Recruiter by dialing 1-800-359-4787.